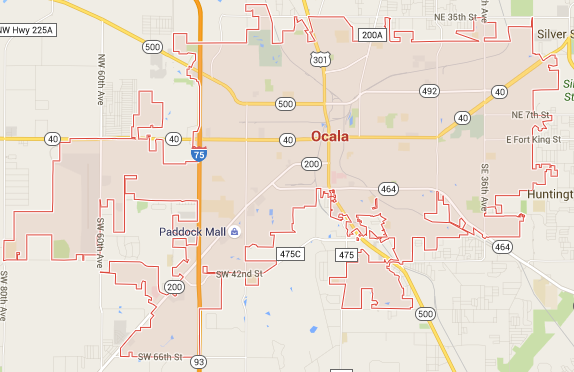 Search for HOUSES IN OCALA ON MAP! Start your Ocala home search now! Learn more about houses in Ocala FL. The Fred Franks Team of Fontana Realty helps you in your search of finding your dream home. It doesn’t matter if you are a nuclear family, a house full, a retiree, or a big fan of horse farms. We have everything under one roof for all your residential and property needs. Those looking to buy or sell a home in Ocala Florida have come to the right website. Whether you’re moving to Ocala for the first time or are trading one home for another. Customer service is our priority; and because the moving processes can be difficult enough on its own. our purpose is to make your Ocala home search as simple and streamlined as possible. Take your time and find houses for sale in Ocala FL. The 45th biggest populated city in Florida, Ocala is located in Marion County and has been settled since the mid-1800s (although it was inhabited by indigenous peoples as early as 6500 BC). Ocala has 14 zip codes, 34473, 34474, 34475, 34476, 34481, 34482, 34483, 34470, 34471, 34472, 34477, 34478, 34479, and 34480. There are a wide array of homes for sale in Ocala, Florida that can fit any budget. A renowned name among established Ocala real estate agents, The Fred Franks Team helps you find updated Ocala FL houses for sale. All of which are listed on the Ocala MLS. The system is designed to do in-depth Ocala property search with updated details about the houses for sale in Ocala FL. Properties here range from single family homes, horse properties, foreclosures, private villas, cheap condos and other luxury homes. Ranked as one of the best places to reside in America by Money Magazine. Ocala real estate has high community standards and is one of the top housing markets in Central Florida. With us, you can find a wide range of houses for sale in Ocala FL for a good price. If you want to buy a house in Ocala Florida, The Fred Franks Team from Next Generation Realty has the expertise to provide you with all market information that you may need. Buying a house in Ocala Florida can be a stressful experience. However, if proper preparation is made and well-planned decisions are made along the way, it can be made smooth and relaxing. The goal is to work with a local realty service in the area you are searching for your dream home. This is why we help our clients walk through all the necessary steps to make sure they get the best price for their property. The Fred Franks team offers guidance and complete assistance in undertaking all the research and paperwork involved in making the sales deal as well as play a key role in helping you set the prices – the right prices. Pricing the property is the most significant part of making a sales deal. Today’s buyer is not only well informed but also has tons of options available to choose from. The Fred Franks team, with all of their expertise and real estate market knowledge, can help you decide a mutually agreeable price for the property to yield good profit yet be realistic enough for the buyer to actually make the sales deal. To make the final sale, you need to have complete documents and information on all the major refurbishing or repair work done around the house. We can help you gather all the necessary documents and do paperwork. If you are equipped with all the necessary documentation, it will attract more potential buyers to your piece of property as it will be ranked as more detailed from the rest. When is the right time to buying a House in Ocala FL? Although you may be tempted to make the sale as and when you desire, however, it is always better to wait for the most lucrative times. Spring season i.e. the months from March to May are the most profitable months for the sellers. This is the time the house is at its best, with no snow covered porches and other messes, the house can be completely shown off during this season. Our Ocala FL real estate agents can provide further guidance to you on this subject. Whether its a 55+ adult community or Ocala subdivision, we are here to help! Remember, the first impression is the last. Make your house appealing to all those buyers who come in to examine the house. Remember, they want to live in that house, so make it homely and desirable for them. Of course, you don’t have to go overboard with the preparations, but just a few low-cost preparations like cleaning, de-cluttering, leaving no dirty dishes in the sink for their view, etc. wouldn’t hurt. One of the toughest decisions one has to face in a lifetime is buying a house. 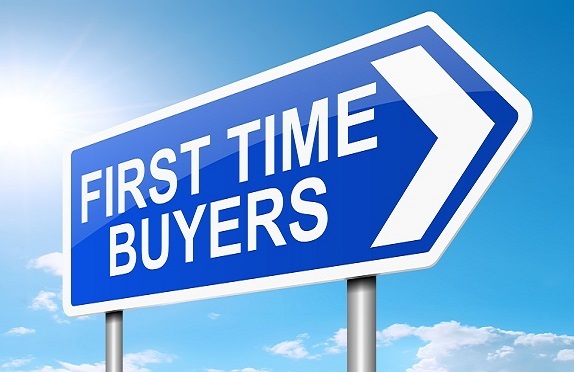 We and our professional real estate agents can help you find your dream place, especially if you are a first time home buyers in Ocala FL. Working with The Fred Franks Team of Next Generation Realty, we make Ocala property search easier for people looking for houses for sale in Ocala FL. With access to wide range of Ocala real estate for sale, you can find the best option for your family in no time with us. All you need is to inform us with the few basic guidelines about your needs when you are in search for houses for sale in Ocala FL. 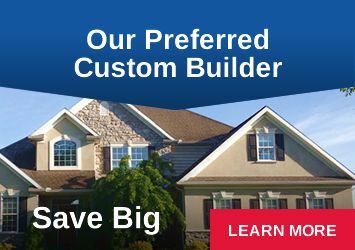 What is the size of the house, depending on your family size, finances, and long-term plans, you are looking for? Remember, real estate investment is a long-standing investment. Remember, you never buy a house in isolation. The neighborhood, the location, infrastructure, closure to other localities and local markets, everything will ultimately affect your lifestyle and comfort. Let us know about all your prime requisites and concerns regarding the area you want to settle in and we will make sure to find the property accordingly. We recommend to research thoroughly before jumping into any ludicrous deal instantly. 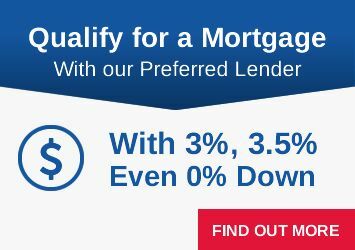 Use our Ocala Mortgage Calculator and get a solid idea of what you are getting into. It will help you find the overall actual cost of the house as well as the monthly payments that will be made. Let us know about your affordability. Also, in case of credit rating issues, we can also help you find a quality mortgage broker who can assist in boosting your score or refer you directly to lenders who are not completely driven by credit scores. USDA Loan: One of our preferred lenders offers this with a tax deduction, which allows the first time home buyer to add an extra $2000 to their income. Working with an Ocala Professional Real Estate Agent Helps! Simply put, to get the best value for your money, employ our Real estate agents, and leave all your troubles to them. It will help reduce all the hassle and stress involved in doing all necessary research work. Our agents are completely trained to help you find the best Ocala houses for sale, provide you with the most feasible offers, seller negotiations, loan management as well as in taking care of all the paperwork involved. Once you have dealt with all the above factors, you are just five steps away from buying your dream home. Step 1: Keep a check on the Ocala MLS Listings and do a thorough Ocala property search. Shortlist the ones which seem the most suitable for you, as per the above-mentioned factors. If in case, you cannot find any, contact our agents with your list of requirements and let us do the research work. Step 2: Choose a financing option. If you qualify for any state-backed loans or special financing programs, enroll in those. Else, our agents can assist you in finding such options and in all other paperwork involved. Step 3: Due to the high market activity, and lucrative market area, you need to be proactive in making an offer for your dream place. Our experts can help you in making the most irresistible offers for the sellers. Step 4: With us, you can rest assured; all property is professionally inspected before the final sale is made. Step 5: Finally, if the inspection goes well, you can close the deal. Our experts are there to guide you through every step and make the process as hassle-free as possible for you to relax and own your new home. Call us now at 352-289-0404 for all your real estate needs and for further details. One of the Best Ocala Realtors is here to assist! A Realtor plays a prime role in helping you find the best property deals and ensuring the whole process goes as smooth and trouble free as possible. The Fred Franks Teams are a group of highly experienced Ocala Realtors with over 30 combined years of professional service is the best bet in the industry. With a professional and devoted team of real estate agents under him, you will no longer need to depend on other advice and concerns of friends or other work associates. Ocala MLS Lists are instantly updated to provide you with the newest offerings for houses for sale in Ocala FL around the clock. You can even create email alerts for your convenience to get updated emails as soon as a new Ocala house is up for sale. We have all the technical and market knowledge about home buyers and homeowners and access to the market details drawn from the Marion County property records with the recent real estate sales in Ocala to know the exact property prices. So, what are you waiting for? Grab your phones fast and call today at 352-289-0404. Ranked as the Number One real estate agency in Marion County, we provide you with the finest service that you deserve. A former Timucua village, Ocala takes its name from “Big Hammock” — perhaps a reference to its location in the central of the Florida peninsula. Many of the street names and neighborhoods derive from Timucua or Spanish words, helping keep this rich culture alive during very different times. You’ll be able to see this Spanish and Native American influence in many of the houses for sale in Ocala FL, with some featuring clay terraced roofs and thick adobe walls. Thoroughbred racing is also popular in Ocala, and some horse-lovers’ properties are more reminiscent of large Kentucky ranches than homes in Ocala, Florida. Ocala’s population is around 160,000 residents. Big enough to offer the amenities of a large city while small enough to allow you to get from one side of town to the other quickly. Ocala’s population is around 80 percent white, with African-Americans making up about 15 percent of the population and Asians, Hawaiians, Native Americans, and other ethnicities rounding out the remaining five percent. Around seven percent of Ocala’s population self-identifies as Hispanic, some of them direct descendants of the original Spanish conquistadors of the fifteenth and sixteenth centuries. Are interested in buying a new Ocala houses for sale develop by some of the best Ocala home builders in the area. Our team work with all the Ocala new home builders, we are able to help you buy a brand new house. The Fred Franks Team offer full real estate service to future home owners and homeowners. If you are looking to your home, condo or investment properties in Ocala call us today at 352-289-0404. Those who are avid readers or who enjoy free DVD rental will be able to take advantage of Ocala’s public library . They offer a wide range of old and new publications, DVD rental, copying and printing services, and public internet access. For those who prefer to drive rather than take public transportation. Are if you plan to buy a suburban home for sale in Ocala FL. The city is served by I-75 and US Highways 27 and 441. As well as US Route 301. Hopping on I-75 and heading north you reach Gainesville around 30 minutes. While Orlando is only around an hour and half south. Travel west, you’ll meander on some scenic Florida highways until you reach the Gulf Coast within about an hour. Heading to the Atlantic Ocean is a bit farther away. To make it to Daytona Beach (while traveling through Ocala National Forest) in about an hour and a half. If you plan to live and work in Ocala. You will be able to get around easily using Ocala’s public transportation system, SunTran. This can make it easy to save up money for a down payment for your Ocala Florida home for sale. While cutting your transportation or commute costs to the bone. Have a Ocala Realtor Contact You!